NWK to MIA: Did Roman Reigns Get Screwed Over At WrestleMania? 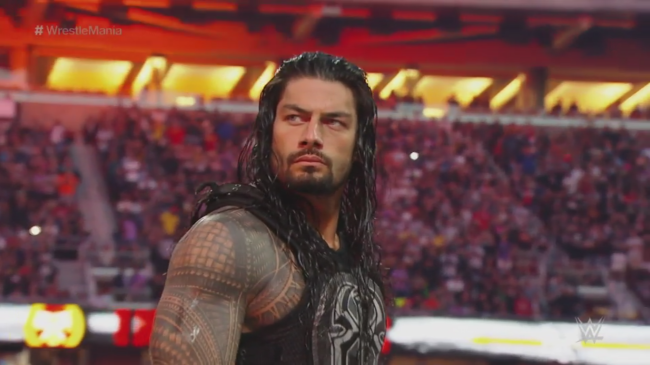 Did Roman Reigns Get Screwed Over At WrestleMania? WWE is known for making last-minute changes, and you sometimes have to fudge the situation in order to get the most authentic performances out of your workers. It’s shady, but it happens everywhere. The thing is, I wouldn’t want to piss off one legendary Samoan, let alone their FORTY TO FIFTY angry blood relatives. I guess that could explain this clip of Rollins thanking Reigns during the finish of their WrestleMania match. And really, after that match, we should all be chipping in on one big gift basket of Snickers for ol’ Romey Reigns.